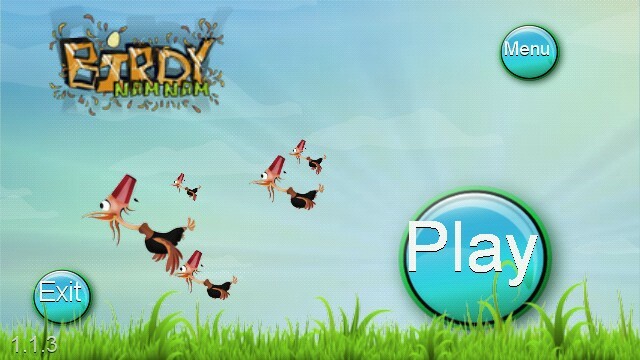 Birdy Nam Nam is an arcade game being similar to a duck hunting game on the Android platform. 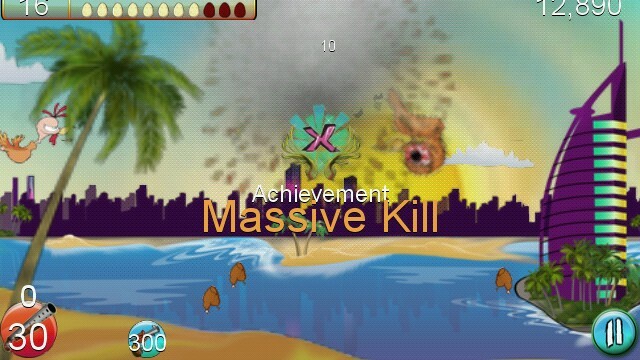 The game is well supported on the Symbian Anna OS and has a good touch response. The game play is very simple and easy. All you need to do is tap on the flying chicken, vultures and other different bird types in order to kill them. 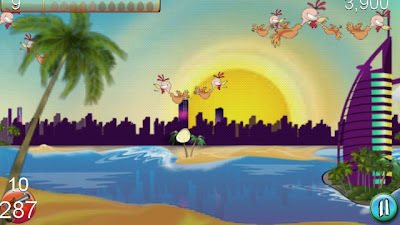 Your ultimate goal is to prevent these birds from laying eggs which fall on the ground reducing your life. One of the best ways to do this is to kill the bird by tapping on them as soon as you see it. The complexity of the game lies in the increase in the number of birds flying across the screen simultaneously laying eggs. 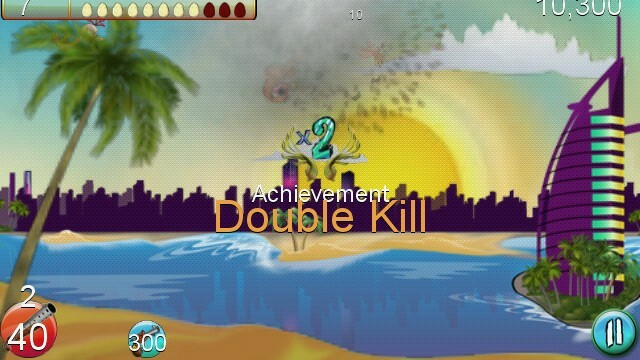 To make the game further interesting, you get an additional weapon choice each time you complete a level. These weapons include shotgun, machine gun, bomb, etc. I would give the graphics a 3.5 out of 5.0 and the game-play a 4.0 out of 5.0. I did start the game in a half hearted way but ended up playing the game for 20 minutes which proves the game is indeed addictive. Use the link below to download the game and install the same using the PC Suite or transferring to your phone using a SD card. The game also supports Arabic and Francais languages additional to English.